Text Sticker. Who wants to be normal? Remind yourself that your uniqueness is great with this wall sticker. 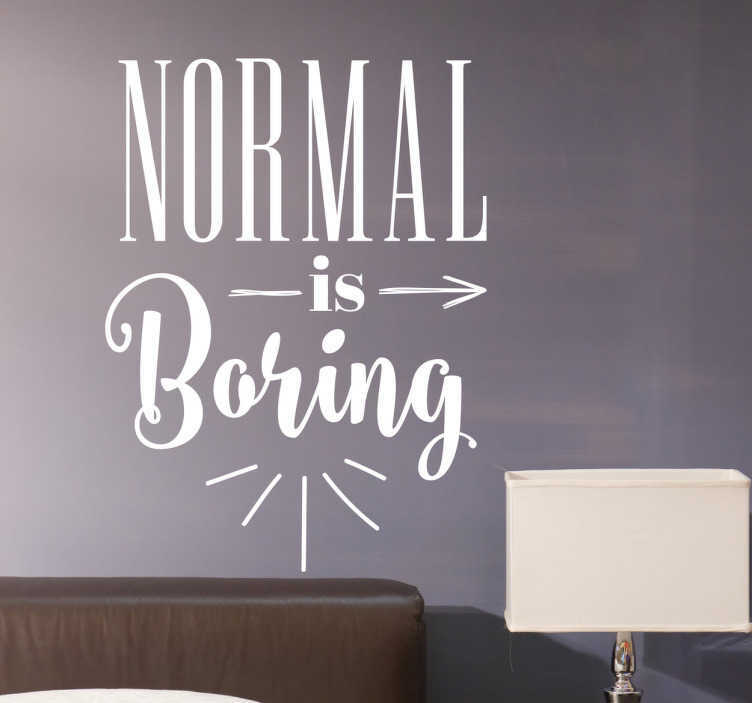 The wall sticker consists of the message "Normal is boring" with sun rays beaming out of the word "boring!" Don't conform to societies views of being normal, be different, be yourself. Decorate your bedroom, living room or office and receive inspiration from this wall sticker. This wall decal is available in a variety of sizes and colours.